Myelodysplastic Syndromes (MDS) are a group of myeloid neoplasms characterized by inefficient hematopoiesis, peripheral blood (PB) cytopenias and high risk of leukemic progression. The diagnosis of MDS is essentially based on morphological and cytogenetic abnormalities, such as the presence of cytopenias, blasts in the PB and/or bone marrow (BM), and dysplasia in one or more hematopoietic cell lineages. Although PB cytomorphological findings provide information to suspect of MDS, only BM studies are presently accepted to confirm the diagnosis. 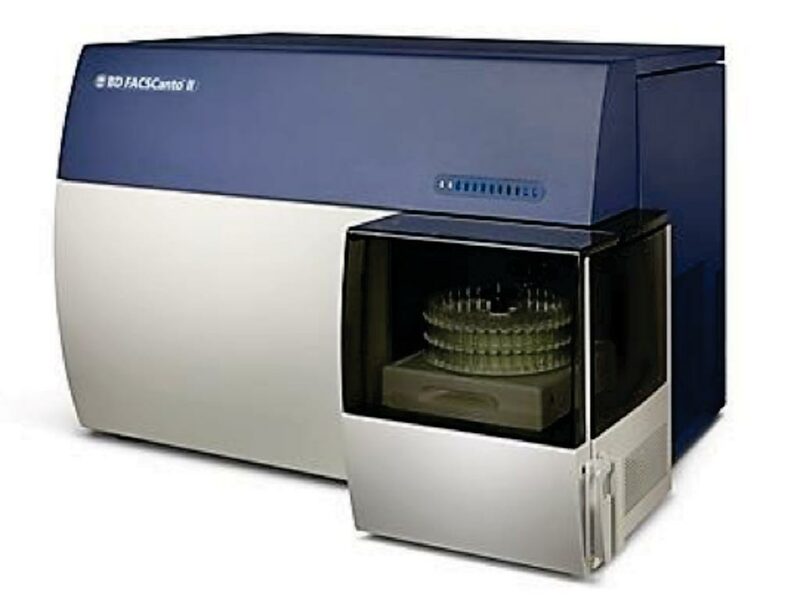 Image: The BD FACSCanto II flow cytometer analyzer (Photo courtesy of BD Biosciences). Scientists associated with the Hospital de Santo António Porto (Porto, Portugal) studied 14 patients with low-risk MDS (LR-MDS), eight males and six females, with a median age of 76 years, ranging from 66 to 88 years and that had at least one appointment at the hospital from September 2015 to November 2015. An equal number of healthy blood donor controls were studied in parallel, eight males and six females, with a median age of 55 years, ranging 19 to 63 years. Clinical and laboratory data were retrospectively collected from the hospital records. Bone marrow (BM) aspirate samples were used to prepare BM smears. These were stained with Leishman’s stain, and cell morphology was analyzed by conventional light microscopy. Cytogenetics studies were performed on BM aspirates, either by conventional cytogenetics and/or fluorescence in situ hybridization (FISH). 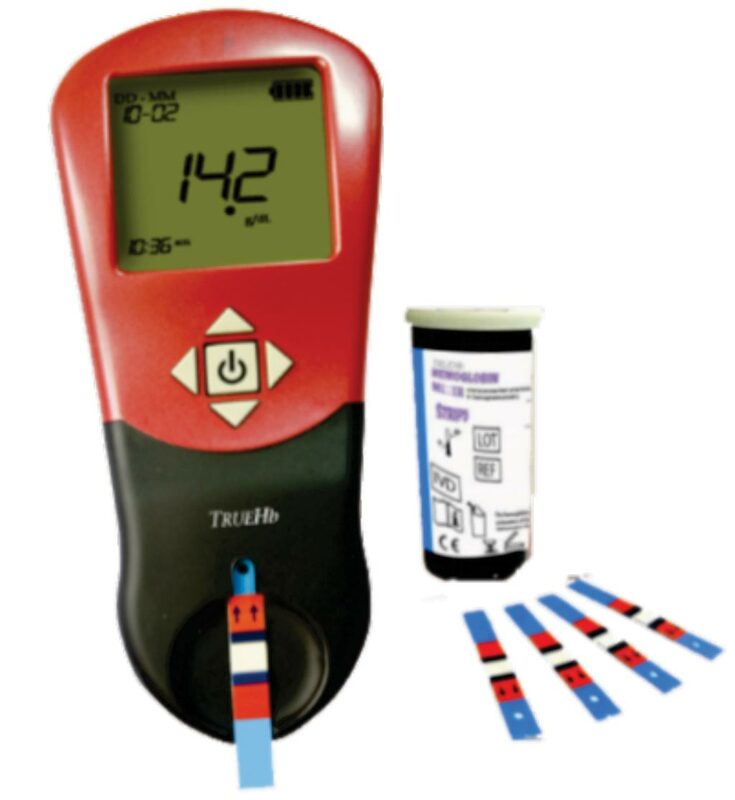 Peripheral blood samples were collected into ethylene-diamine-tetra-acetic acid tripotassium salt containing tubes and processed within 24 hours after collection. Cell immunophenotyping was performed by 8-color flow cytometry (FCM) using fluorochrome-conjugated monoclonal antibodies (mAbs) with different specificities. Sample acquisition was performed in a BD FACSCanto II flow cytometer. The team found that peripheral blood neutrophils from patients with LR-MDS frequently had low forward scatter (FSC) and side scatter (SSC) values and low levels of CD11b, CD11c, CD10, CD16, CD13 and CD45 expression, in that order, as compared to normal neutrophils. In addition, patients with LR-MDS commonly display a higher fraction of CD14+CD56+ and a lower fraction of CD14+CD16+ monocytes in the PB. The immunophenotyping score based on which PB samples from patients with LR-MDS could be distinguished from normal PB samples with a sensitivity of 93% and a specificity of 100%. The authors concluded that their pilot study revealed an altered neutrophil immunophenotype, often accompanied by an abnormal monocyte immunophenotype, in the PB from nearly all LR-MDS cases, and suggest that assessment of abnormal antigen expression in PB mature myeloid cells may help to identify patients with LR-MDS. Once translated into a straightforward FCM-based score and converted into a visual analogue scale, MDS thermometer, these findings can be easily applied in clinical practice. The study was published on March 13, 2018, in the journal BMC Hematology.